Sandstone Sawn Walling manufactured by J.H. Wagner & Sons. 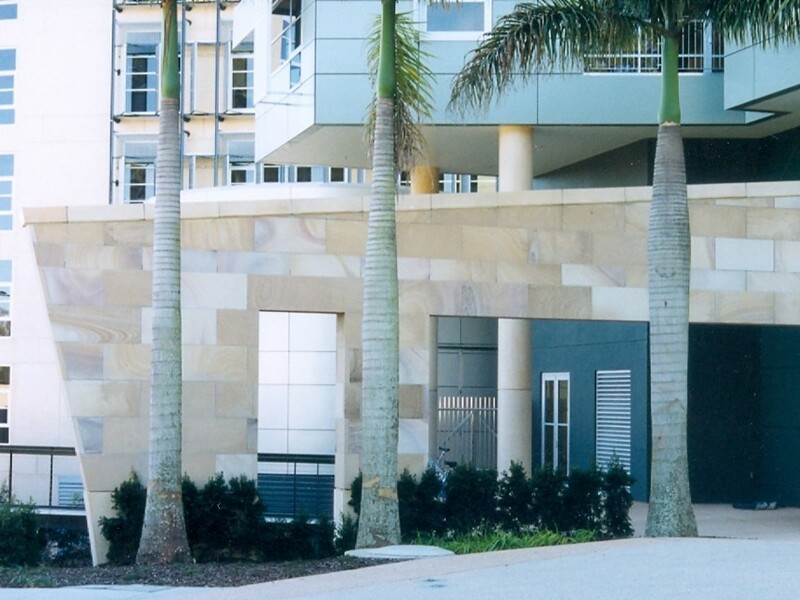 Sawn Sandstone Walling is a smooth finish on the front face of the stones. All faces of the stones are diamond sawn and the front face is then honed (rubbed smooth) to remove an saw lines and marking. Our standard Sawn Walling product is based on single height orders up to a height of 300mm with mixed height orders available by individual quotation. Sawn Walling is often used in combination with other sandstone finishes (above right - Rockface Walling). The minimum thickness for walling unless using tiles is usually 75mm or 100mm. Construction is in most cases the same as the cavity brick construction.